CEBU, Philippines - The Cebu Provincial Prosecutor’s Office has dismissed the electoral sabotage complaint filed by fourth district Rep. Benhur Salimbangon against Celestino Martinez III and two members of board of canvassers who served during the May 2007 elections. Acting Cebu Provincial Prosecutor Raul Cristoria dismissed the case against Martinez and two others for insufficiency of evidence. “Finding of probable cause cannot be determined by this office on the basis of evidence that is insufficient for its intended purpose,” Cristoria ruled. click here to continue reading. Published in the Sun.Star Cebu newspaper on December 04, 2010. 1. How do you assess prospects of growth with the stripping of Bogo’s cityhood status? Tell us how much of your development plans was pinned on Bogo being a city. Also visit the official website of Bogo for the unedited version of this interview. Bogo's own barangay Sto. Rosario was proclaimed by the Department of Health (DOH) Region 7 Office as the barangay with the best sanitation practices. The said barangay will be receiving Php 150,000 cash incentive. According to Engr. Evangeline Canoneo, the environmental health program coordinator and head evaluator, the criteria for determining the winning barangay includes: sanitary toilets, access to water supply (and water waste management), clean and green (beautification), legislative support and community participation. Sto. Rosario Barangay Chairman Rizalina Guevarra said that she was not aware of the competition and never expected the recognition. Barangay Panataran, Bohol came in second. Other nominees are Ilaya, Lasi, Siqui-jor; Pongtod, Oslob, Cebu; and San Isidro, San Francisco, Camo-tes, Cebu. This is another achievement for Bogo. Mabuhi ka BOGOHANON. Outstanding RHU in implementating Directly Observed Treatment Short(DOTS) Course Strategy in Cebu. Highest Blood Donor in Eastern and Central Visayas given by Rotary Club. July 22, 2010 - Two unidentified men on board a motorcycle shot three members of the City of Bogo Anti-Crime Task Force (CBACTAF). 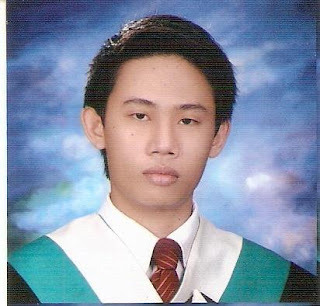 Alexander Pedrano Suson, 22, a resident of Barangay Binabag, Bogo City, Norben Montillano Alburo, 22, living in Barangay San Vicente, Bogo City, and Daniel Chiao Nailon, 21, of Barangay Bungtod, Bogo City were shot while on duty at P. Rodriguez Street. According to the authorities the incedent happened around 11 pm. Suson unfortunately died after being shot in his forehead and right arm. The other two members also sustained some shots and were brought to the hospital. 26 pieces of empty shells of 9 mm machine pistol were recovered from the crime scene. This incident brought fear to many citizens of Bogo and perhaps more fear to members of the CBACTAF. What could be the reason behind this killing? Could this be POLITICAL? Drug-related? Or whatever reason? 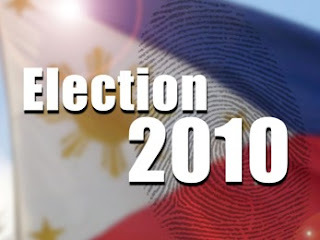 Click Here to view the General Instructions Governing the Consolidation, Transmission, and Canvassing of Votes in Connection with the May 10, 2010 National and Local Elections.